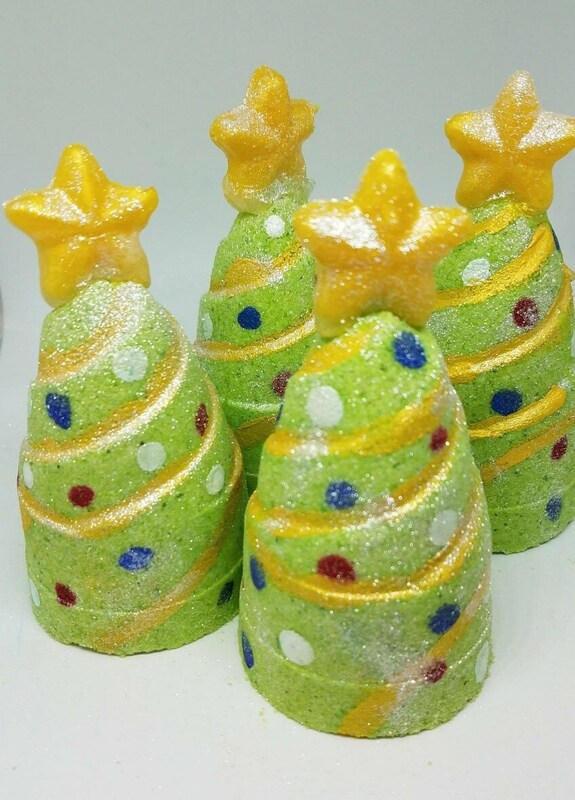 O' Christmas Tree Bath Bombs are a fun way to get you into the holiday spirit. It is scented in Home for the Holidays that will take you right into a holiday mood. The ingredients will sooth your skin and relax your mind. The little gold star is made with handcrafted glycerine soap. These also include an "embed" that helps the bomb spin and swirl. So beautiful! Excellent addition to my Christmas gifts. Fast shipping. Thank you!